Each skier has to ask an important question: which cross-country skis do I need? The right answer lies in the combination of several essential factors: technique, use, terrain, skier's height and weight. Racing cross-country skis - As you can tell from the name, these skis are designed foremost for racing skiers. The skis are usually narrower, harder, with much faster base made of carbon-based materials, which make the base more prone to damage. Comfortable ride requires perfectly maintained track. 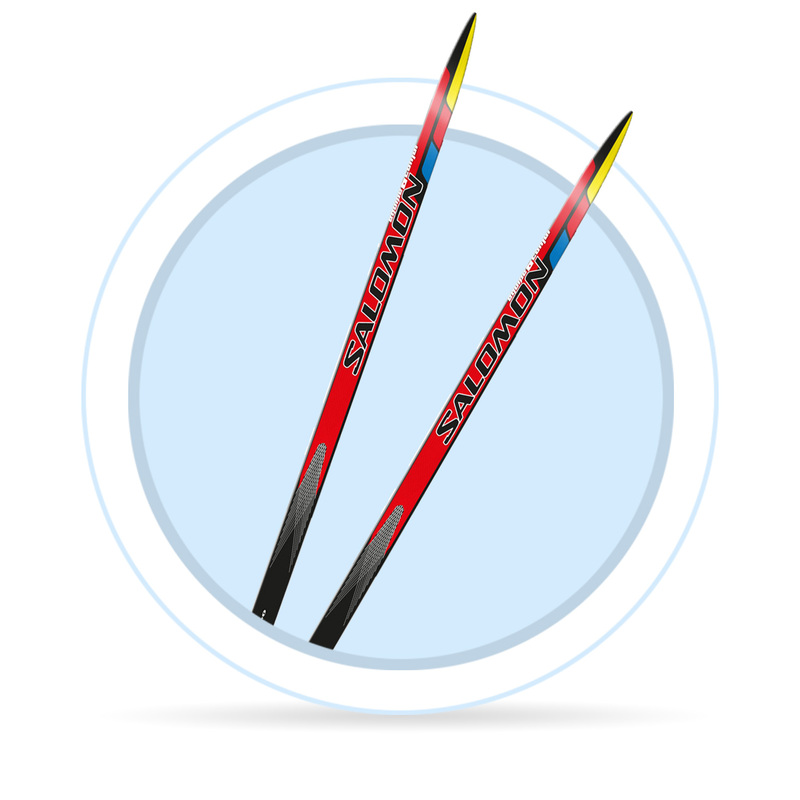 Athletic cross-country skis - This category is suitable for advanced and demanding skiers. These skis are still relatively fast and hard, however they are equipped with more resistant base. Recreational cross-country skis - Recreational nordic skis are suitable for casual skiers or beginners. In comparison to other skis, they are slightly wider, softer and the base is slower. On the other hand, they are more stable and less prone to damage in the form of little stones or gravel. Classic - Classic cross-country skis are skis designed for classic style nordic skiing on groomed track. They feature a pronounced sharper tip for smooth movements, and bigger arch in the wax pocket, which provides ideal conditions for the right push. Beginners - Beginners may choose skis with textured base, which eases uphill skiing and kick even without using a grip wax. They may not satisfy advanced skiers, because the base is slower in downhill. 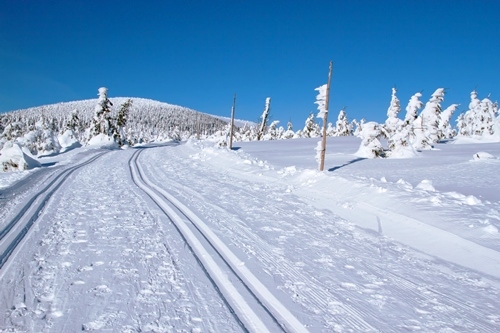 The optimal length of cross-country skis is 20 cm longer than the skier's height. Longer skis allow for better gliding, however hardness is another important factor. Generally speaking, harder skis are faster, but requires very good kick technique. 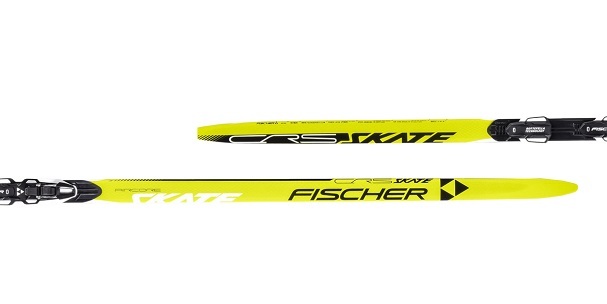 Skate cross-country skis are designed for casual style known as skating. The skis feature unpronounced tip, enforced edges and smaller arch. Recommended length is 5-10 cm more than skier's height. Even though longer skis have better glide, but are considerably worse manoeuvrable. Optimal hardness is essential. Too hard skis may make glide difficult and less manoeuvrable. Too soft skis are slower because of their prominent arch. Combi cross-country skis - If you are a casual skier who wants to try both skiing techniques, but doesn't want to invest in purchasing both types separately, combi skis are the right choice. 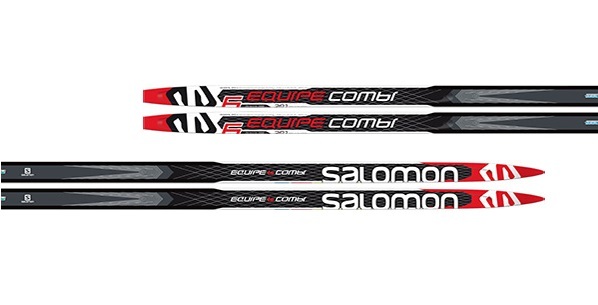 Combi skis are a compromise between classic and skate style nordic skis. Combi skis are harder than classic style skis and longer than skate skis. Skis which are too hard may cause more difficult kick, too long are worse manoeuvrable. The optimal length is 10-15 cm more than skier's height. Backcountry - Durable skis suitable for terrain and in comparison to other skis also suitable for ungroomed trails. The width ranges between recreational cross-country and downhill alpine ski, which provides for excellent stability in deeper snow. 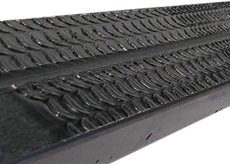 At least one steel edge eases movements on icy surface and durable base prolongs the life of the skis The optimal length is 10-15 cm more than skier's height. Stable wide kids' skis are suitable for children under 5 years old, shorter than the child's height. Only older children who have managed the right technique may require longer skis. The optimal length of skis for children between 5 and 10 years is 15 cm more than the child's height.